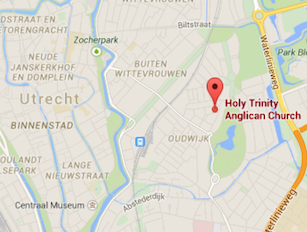 Holy Trinity Anglican Church (HTU) is part of IPSU (which could be translated as Interdenominational Platform for Students in Utrecht). This is the Student Chaplaincy in Utrecht. The chaplaincy provides spirtual and personal guidance and organises religious and social activities, events and workshops. As part of IPSU and as English speaking church, our aim is to be there especially for international students. Of course, if you are a Dutch student, you are most welcome too! All students are warmly invited to participate in the activities from IPSU as well as from HTU. The activities IPSU organizes are either English or Dutch spoken. For more information, see www.ipsu.nl.